Right in time for the Supreme Court's historic ruling on Whole Women's Health vs. Hellerstedt, #StopTheSham started trending on Twitter. The phrase was chanted by pro-choice activists outside the Supreme Court on March 2, when the case on Texas' restrictive abortion laws was heard. 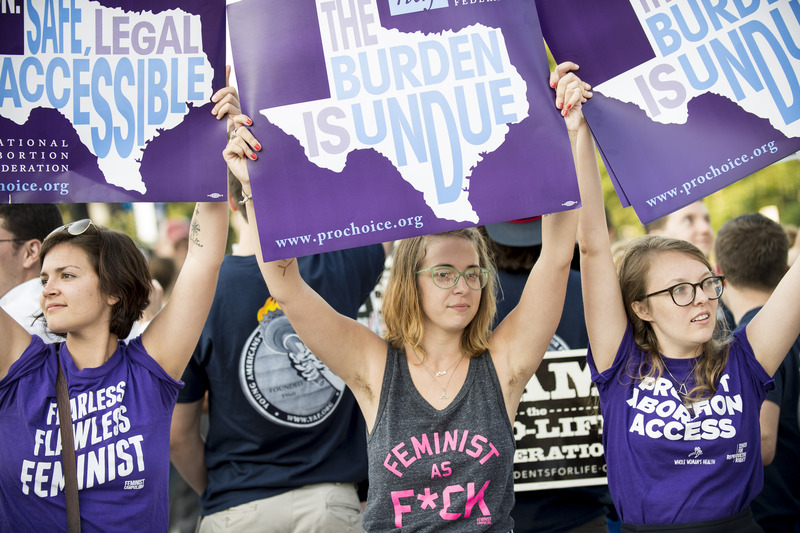 On June 27, #StopTheSham made a victorious comeback after the court ruled in a 5-3 decision that those laws were unconstitutional and not implemented to protect women's health, as Texas solicitor general Scott Keller had claimed. Given those realities, it is beyond rational belief that H. B. 2 could genuinely protect the health of women, and certain that the law “would simply make it more difficult for them to obtain abortions. For the first time in a long time, pro-choice activists can celebrate. #StopTheSham has triumphed, but its job isn't over just yet. The following tweets shows there's still much celebrating to be done. Arya seemed like a good choice to feature here. The women of the Supreme Court made this ruling possible and asked the toughest questions during the hearing. The Justice has been a fierce defender of women's rights for decades. Even members of Congress are spreading the hashtag. The Center for Reproductive Rights' activism has been influential. There is hope for similar victories in the future if a left-leaning justice is appointed to replace Antonin Scalia.